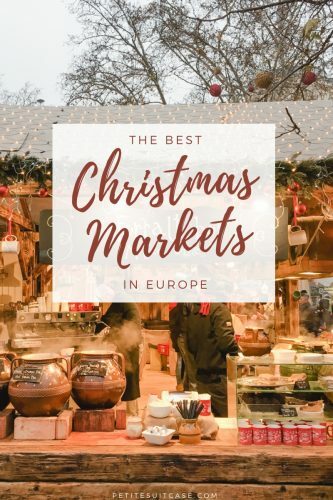 The best Christmas markets in Europe start in late November, transforming cites into winter wonderlands where the smell of candied nuts, spiced wine and carbs waft through the alleys. 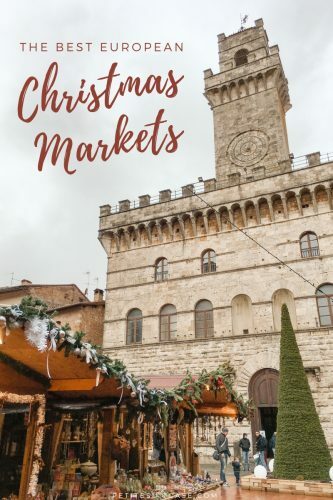 At each turn you’re surprised by more Christmas trees, charming stalls and decorations. 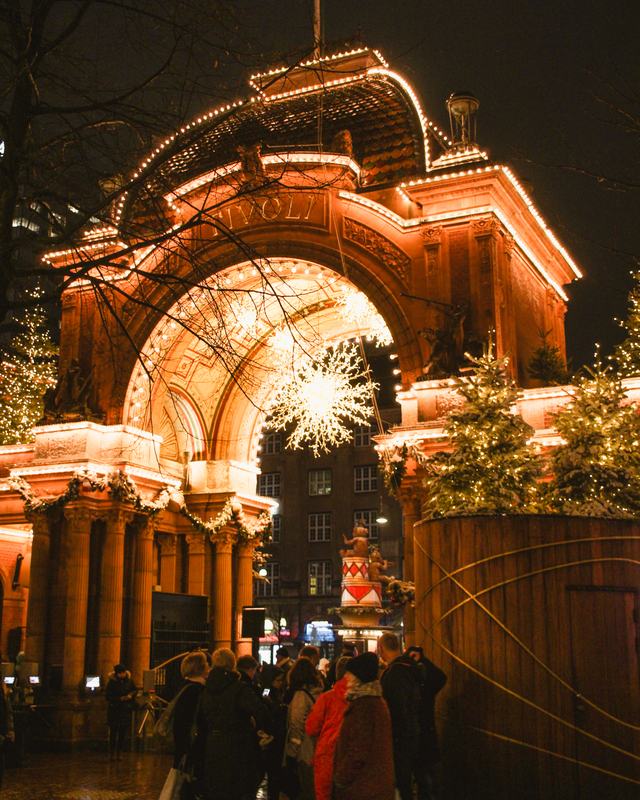 There are few things that embody “cozy” as much as European Christmas markets. It’s quite chilly outside, but no one seems to mind. 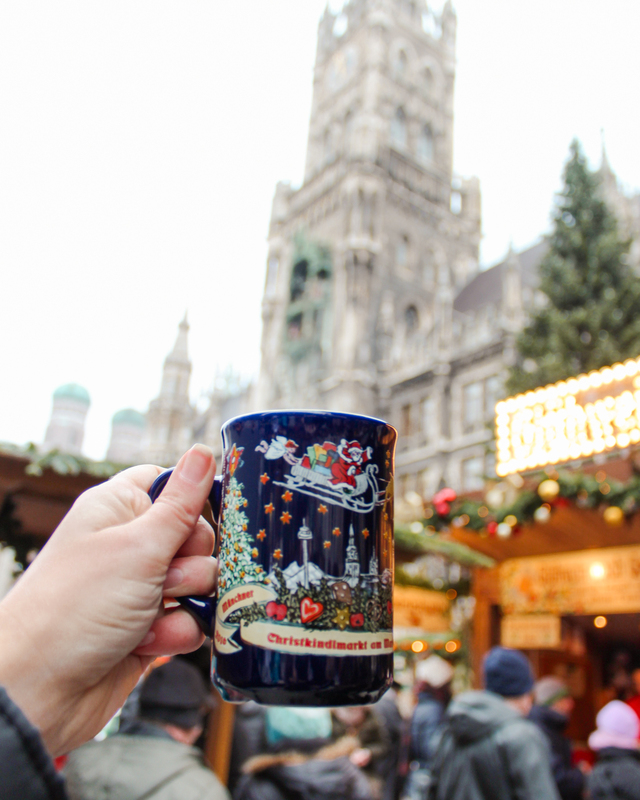 Everyone is bundled up, drinking hot mulled wine (also known as Vin Chard or Glühwein). However you say it, mulled wine is delicious and absolutely shouldn’t be missed wherever you are in Europe. 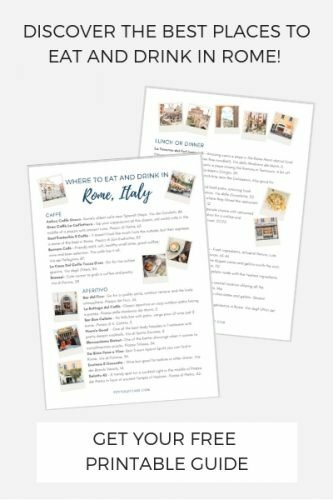 As expats in Italy, we couldn’t travel back to California for the holidays, so we made it our mission to seek out the best Christmas markets in Europe instead. 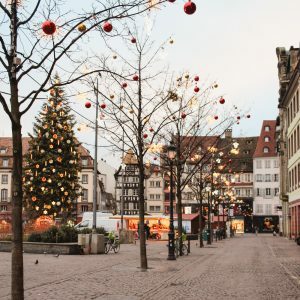 Strasbourg is called the Capital of Christmas and boy, do they mean it. I’ve never seen a town more decorated, more decked out in lights, tinsel and teddy bears. 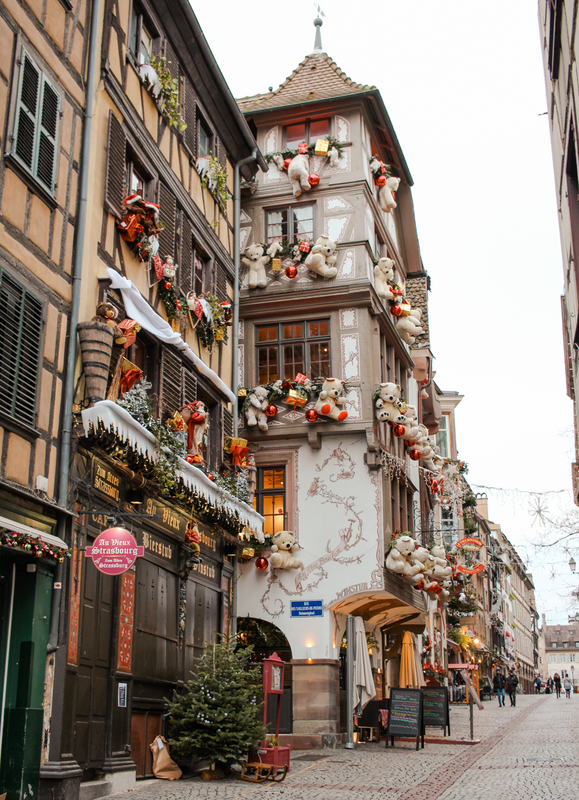 No one does Christmas quite like Strasbourg. After all they’ve been doing this for almost 500 years. There’s over 300 stalls and different themes are set up in clusters around the city. 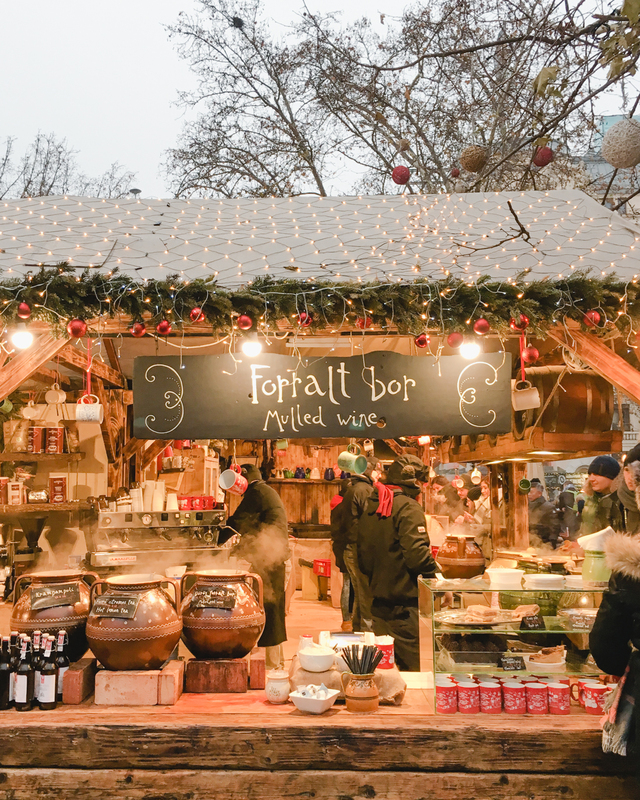 They make their own regional version of mulled wine using a white varietal from the Alsace region. 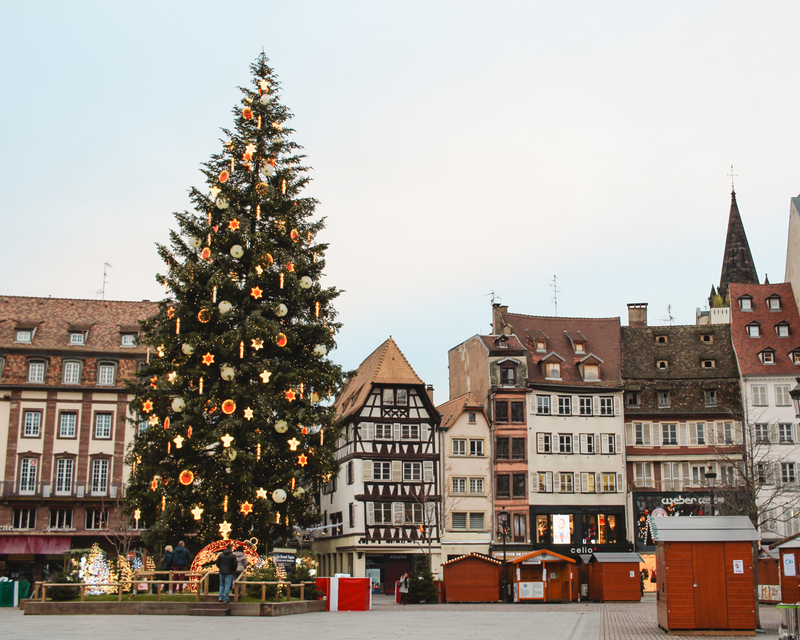 Strasbourg is near the German border in France, making it easily accessible by train from Stuttgart or Frankfurt. The train from Paris is about two hours (we booked through SNCF). If you have extra time, you should make the trip down to Colmar. This website will eventually post an online brochure and detailed information on the markets. Strasbourg might hang miles and miles of Christmas tree lights, but Tivoli Garden knows how to give a good light show too. I can’t imagine how many hours it took to put up all the lights at Tivoli Garden. It was simply magical. The gardens are mostly closed during the off season, but the park opens up for a few weeks around Christmas and New Years Eve (check the exact dates here). Expect it to be freezing and bundle up. I needed frequent stops in shops and bars to thaw out (pack these hand warmers to help with the chill). Copenhagen is not known as a budget destination, so be prepared to spend a bit on entrance fees, rides and food. 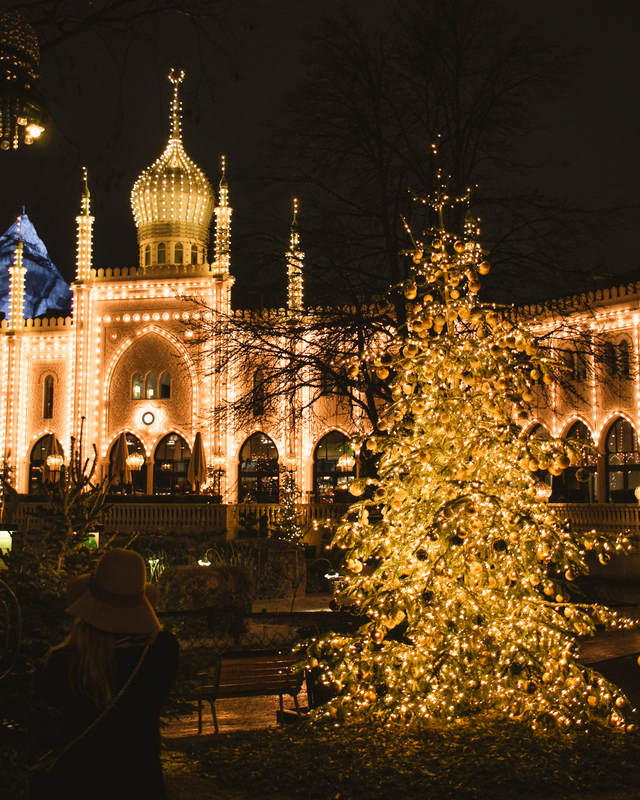 If you are in Copenhagen during the holidays though, visiting Tivoli Garden is something to splurge on! 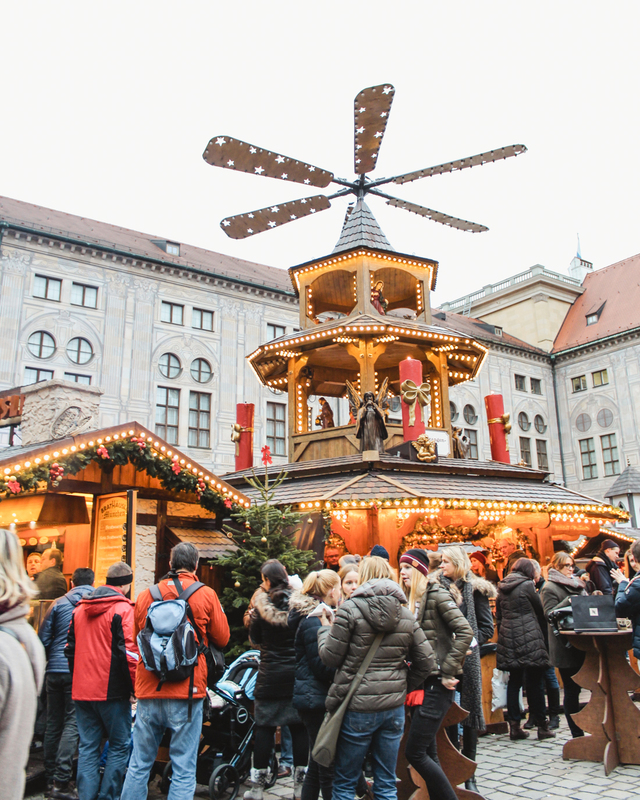 Munich was first on my list for markets to visit during Christmas. Cities all over Europe replicate the German Christmas Market experience and I can see why. 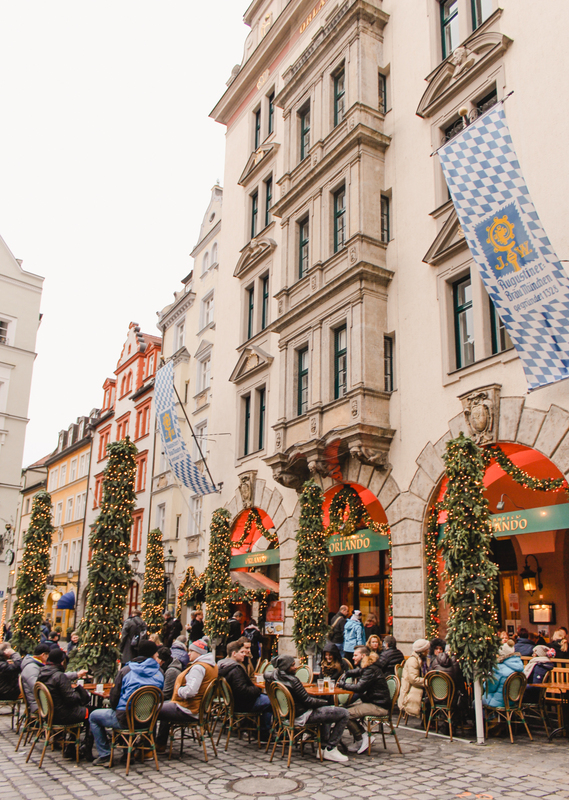 Marienplatz is the main square filled with rows of Christmas stalls, but I also loved stumbling on the market in the courtyard near Residenz München. You can’t miss the Glühwein huts. Each stand will have a speciality coffee mug design that you can keep for a few extra euros. Munich is one of the few markets that boasts an ice skating rink (last year it was located here in Karlsplatz). Be sure to stop inside Schmalznudel to have a coffee and pastry. 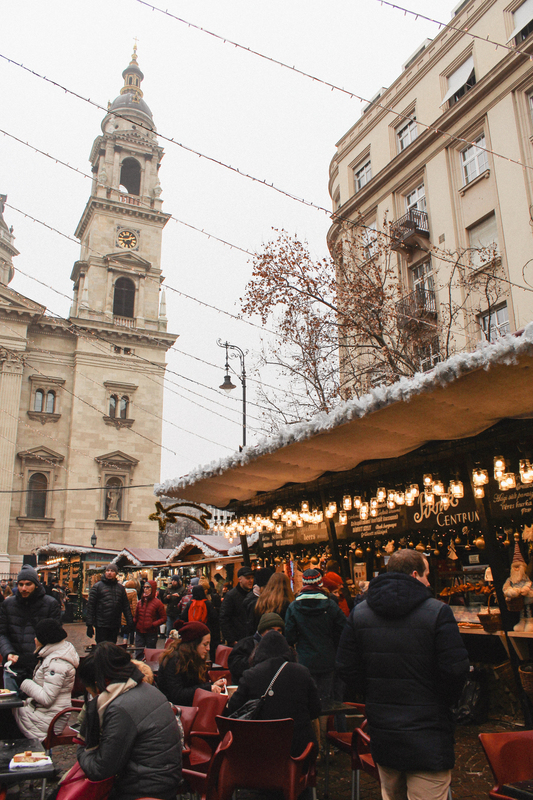 Budapest might not be somewhere that comes to mind when you think of European Christmas markets, but it has every right to be. Most of the excitement is right around the main square, Vörösmarty tér. Budapest is one of the most affordable destination in Europe to enjoy a decent Christmas market. 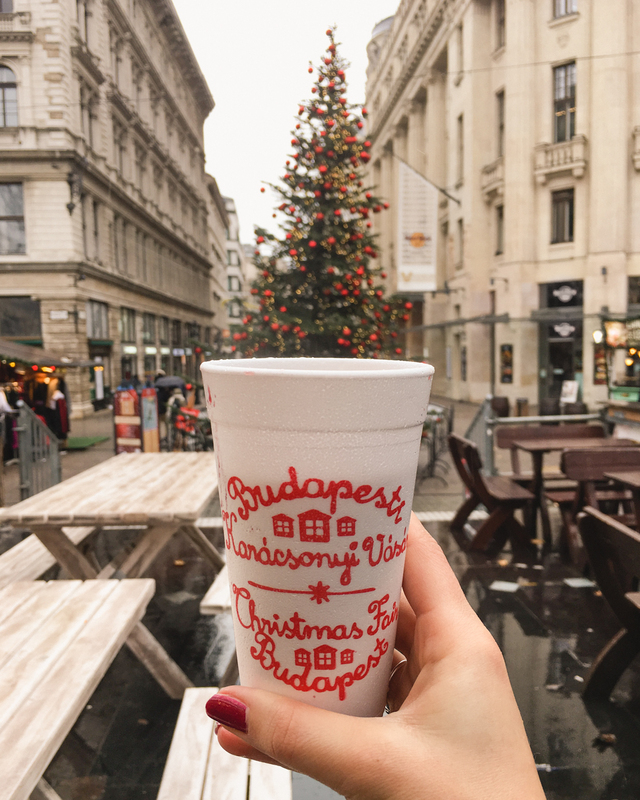 Mulled wine isn’t served in fancy mugs, just large styrofoam cups. And that’s just fine by me. 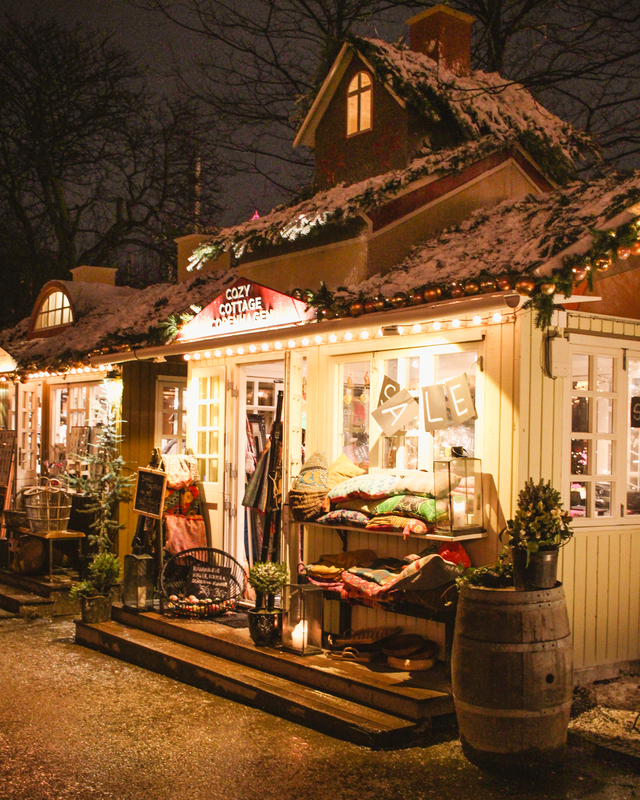 Like most Christmas markets, there’s smaller clumps of huts selling mulled wine, food and ornaments throughout the city. The majority of the action is around the Astronomical Clock in the Old Town Square, but I quite liked the smaller markets on the castle side of Charles Bridge (located here). On Christmas Eve, all the locals were there with their Tupperware picnics. I don’t know if it was the end of the market season or people were in the giving spirit, but they were giving away mulled wine for free… FOR FREE! 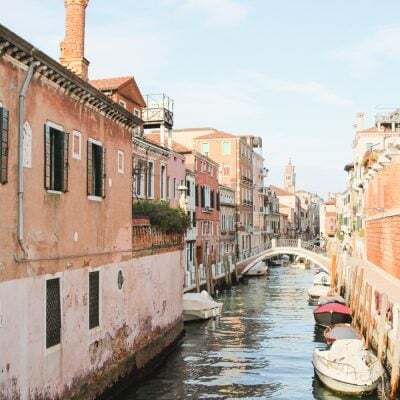 Book this Airbnb to stay walking distance to all the markets. 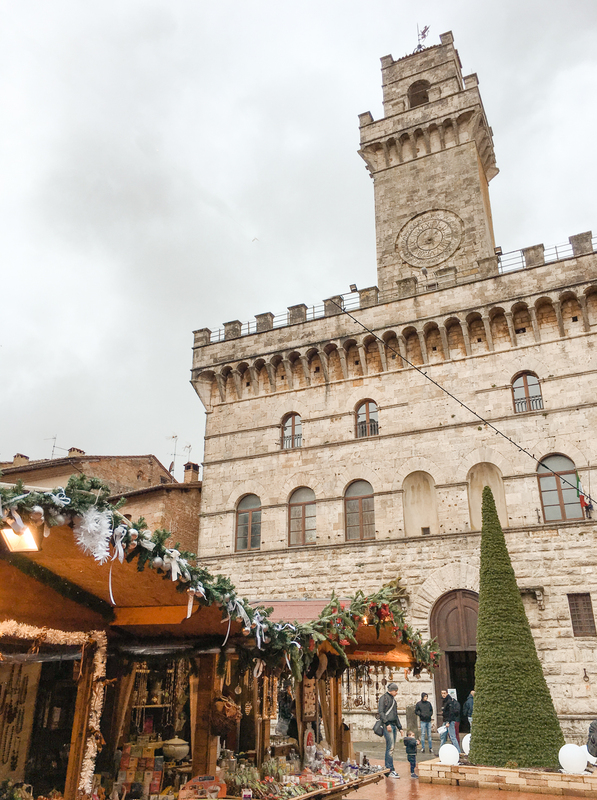 Honestly, the Christmas markets in Tuscany are smaller in comparison to the ones in Munich or Prague. 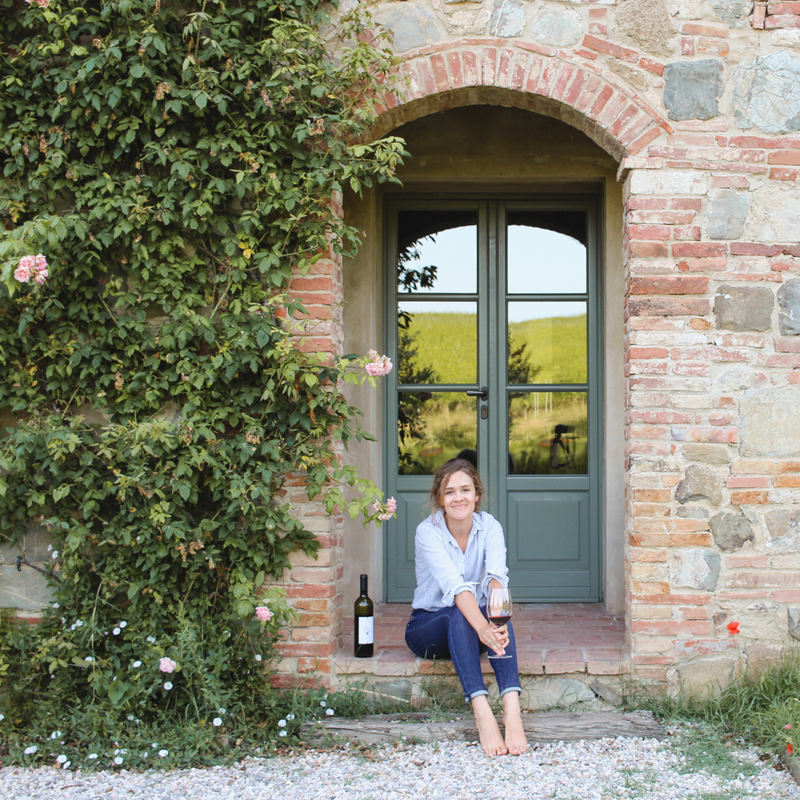 However, the Italy lover in me can’t write a round up post without including an Italian destination. And since you’re reading my blog, chances are you don’t mind. The Immaculate Conception on December 8th marks the beginning of Christmas for Italians. 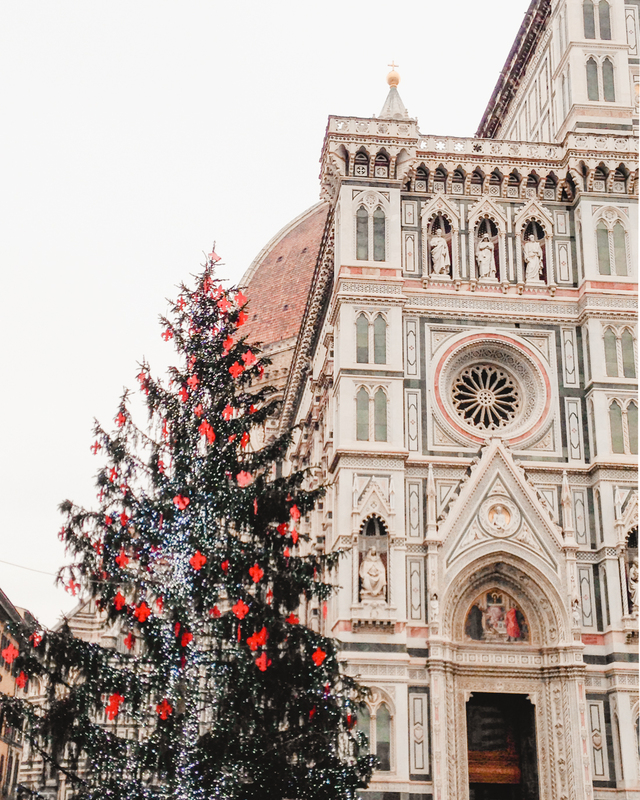 Florence decks their streets with garland and the main piazza in front of the Duomo displays a huge Christmas tree and nativity scene. 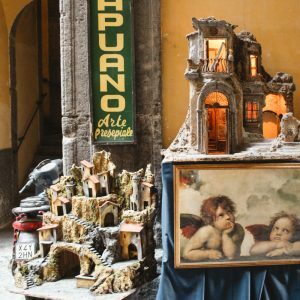 The market located in Piazza Santa Croce can’t be missed. 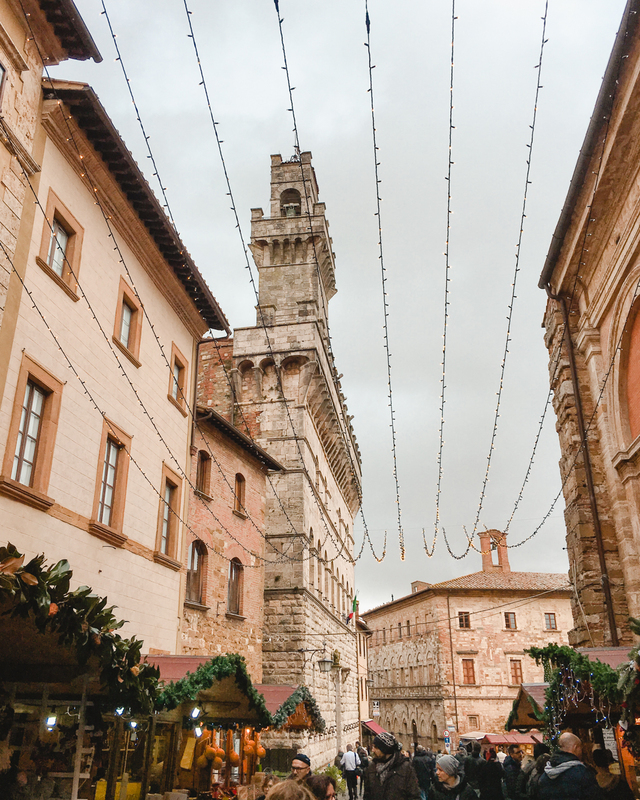 In the Tuscan countryside, hilltop towns like Montepulciano also host small, but ever-so-charming Christmas markets as well. Thank you!!! What a fantastic post! My daughter and I were thinking about hitting London and Paris for the Christmas lights this year, but it might be better to go to Strasbourg? 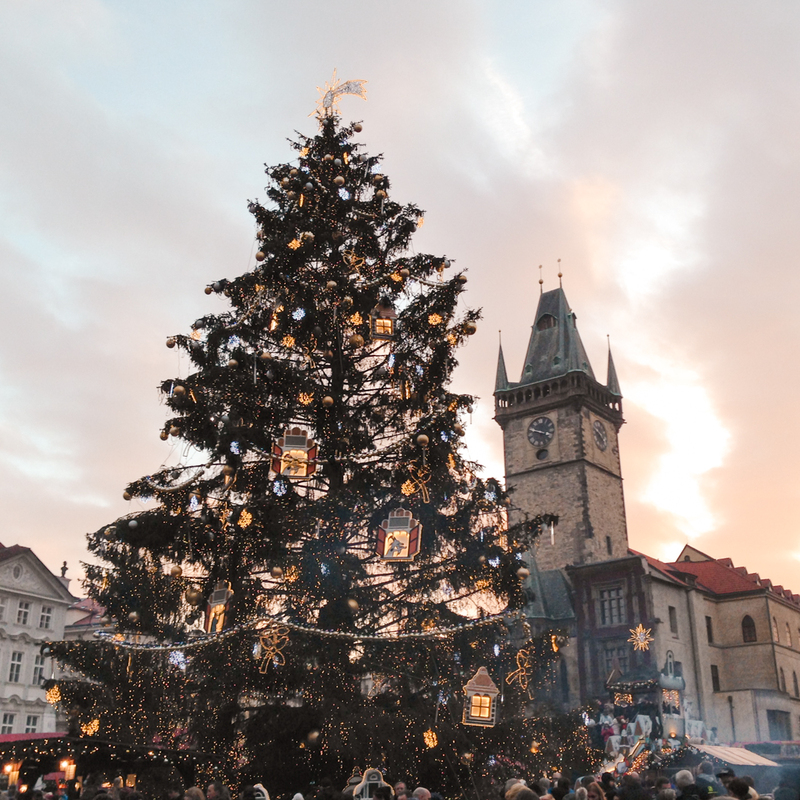 Christmas is magical to start with… pair it up with a European trip… What could be better? Great post! Oh, that is a tough decision!! I love London and have heard they put up some lovely lights as well. I was in Paris for a few hours when we left Strasbourg and they also have nice markets and darling decorations. I wish I could have spent more time there. 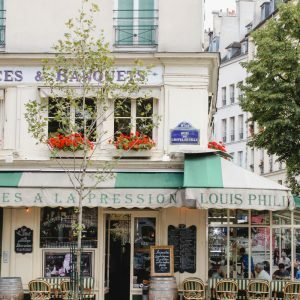 Both London and Strasbourg are easily accessible from Paris, so there’s no clear winner there. Either way, you’re sure to have a magical trip!